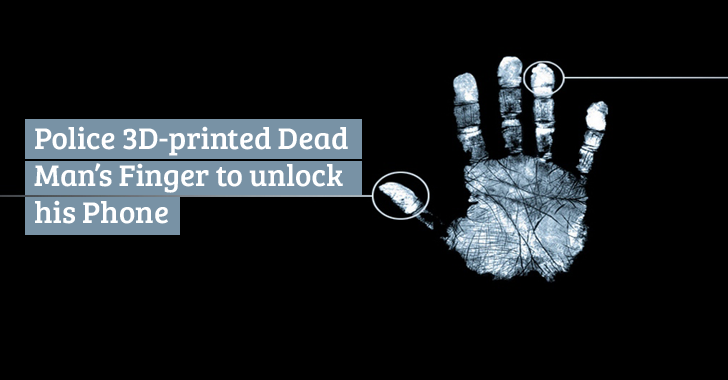 Once reproduced, the 3D print would be used to create a false fingerprint of the dead man, which could then be used to unlock his smartphone using its biometric sensors. The man was a murder victim, and law enforcement investigators believed that his phone might contain some useful information relevant to the case. This, in turn, made the police approach professor Anil Jain, who told Fusion that he "coated the 3D printed fingers in a thin layer of metallic particles" so that they could conduct electricity and "the fingerprint scanner can read them," helping the police catch the murderer. When thinking about its implications and consequences in future, this technique could make everyone vulnerable who uses biometric security to protect the privacy of their smartphones. Since fingerprints are the unique and all time the constant identity of a person, there is a risk of having someone steal a fingerprint using a high-resolution photo and recreating it that way. Since the investigation is ongoing, much details about the technique are not available. The best solution, for now, is to disable any biometric sensor enabled on your smartphone, just in case you don't want the police or anyone else to 3D print a replica of your fingers and unlock it with ease. Rather set a secure password to lock your device. Remember: You can change your passwords if it is stolen, but you cannot change your fingerprints.